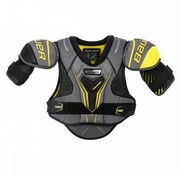 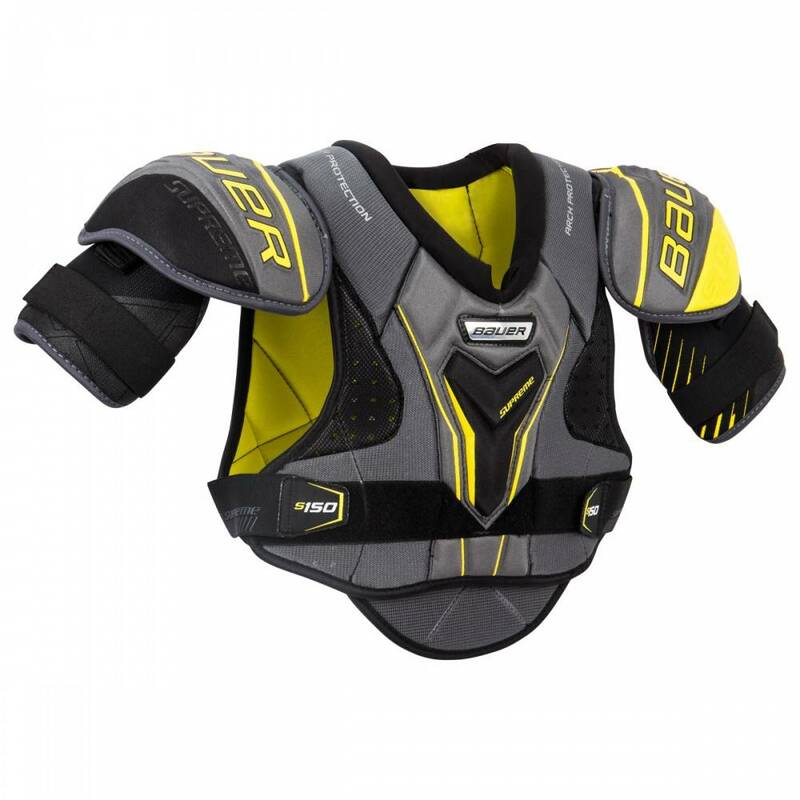 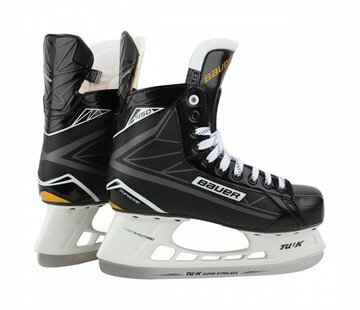 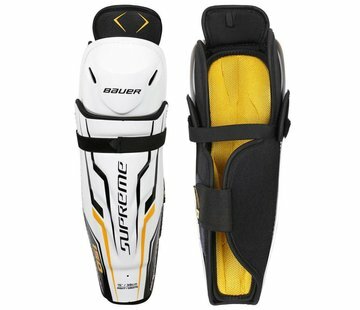 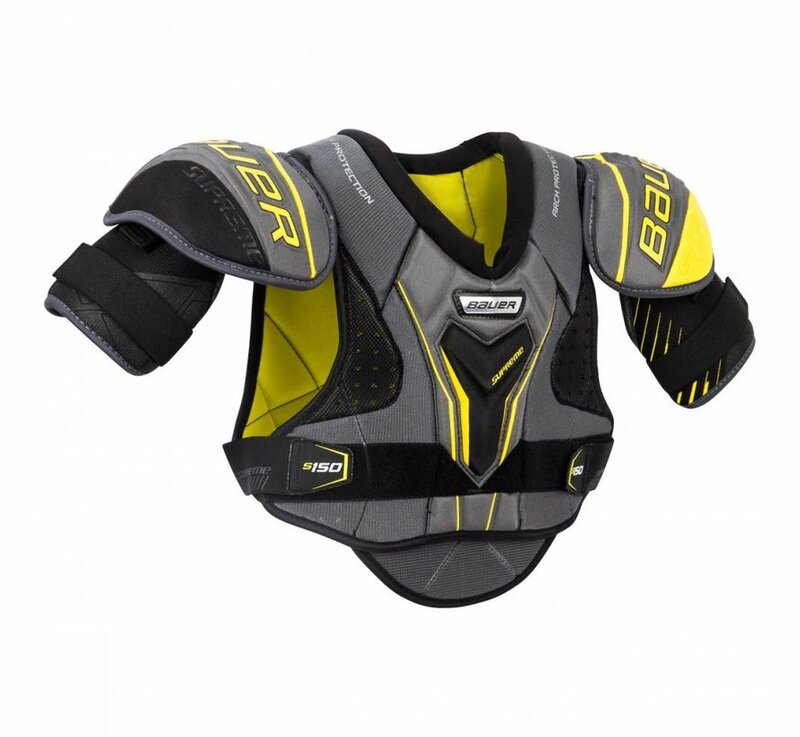 Bauer Supreme 150 junior ice hockey shoulder pads. 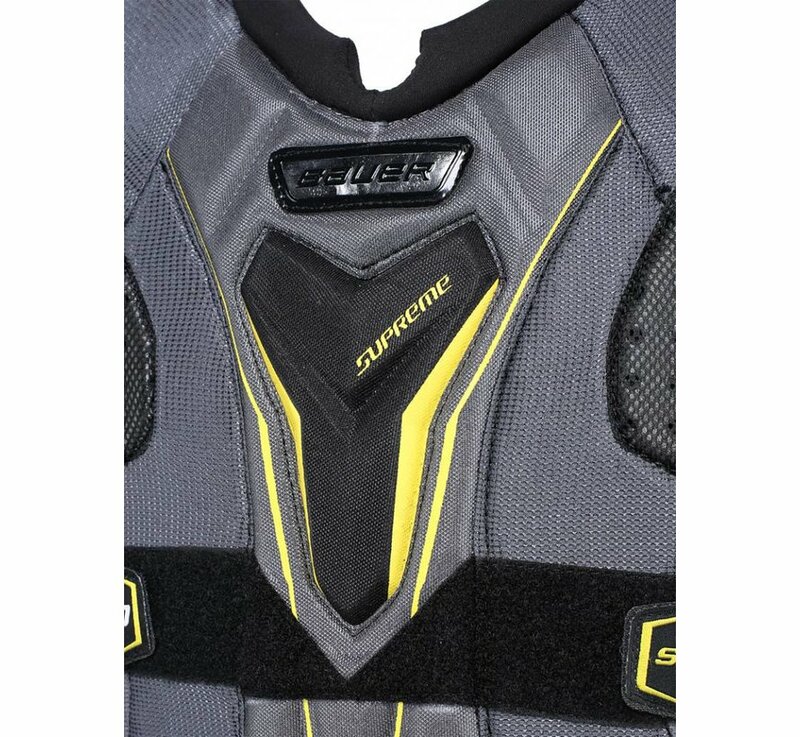 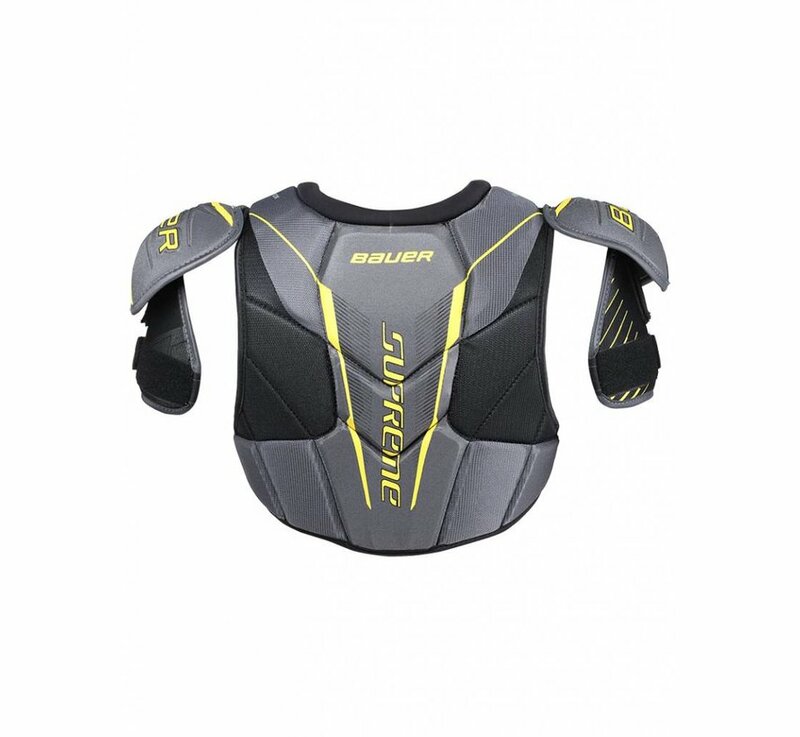 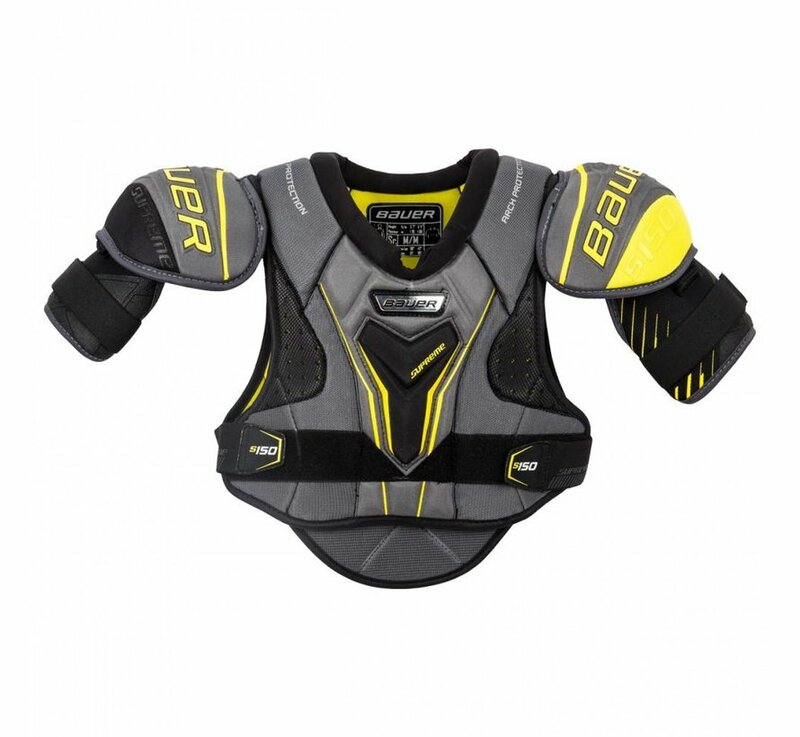 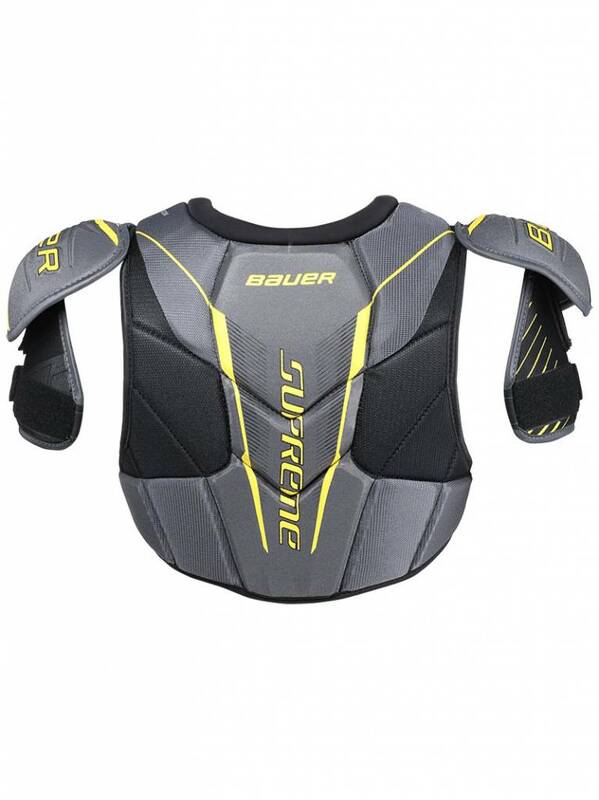 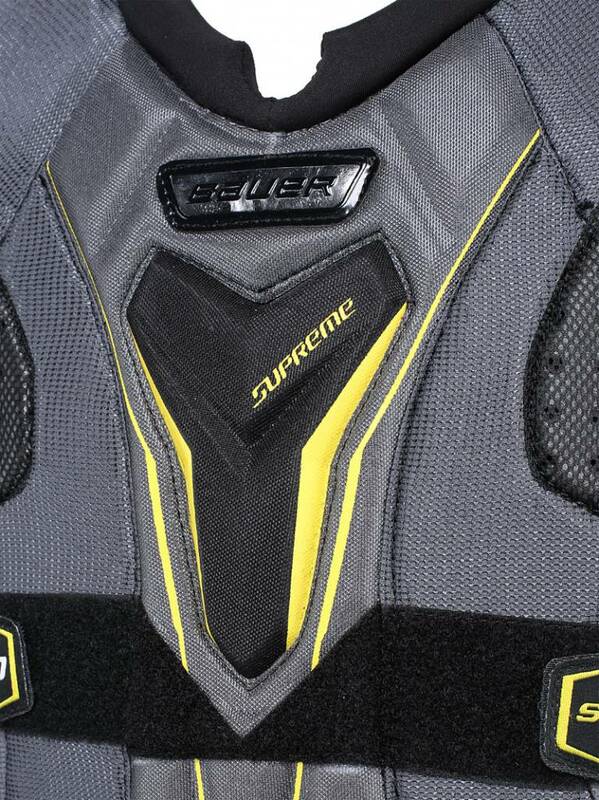 The Bauer Supreme 150 Hockey Shoulder Pads are the entry level model in the Supreme lineup. 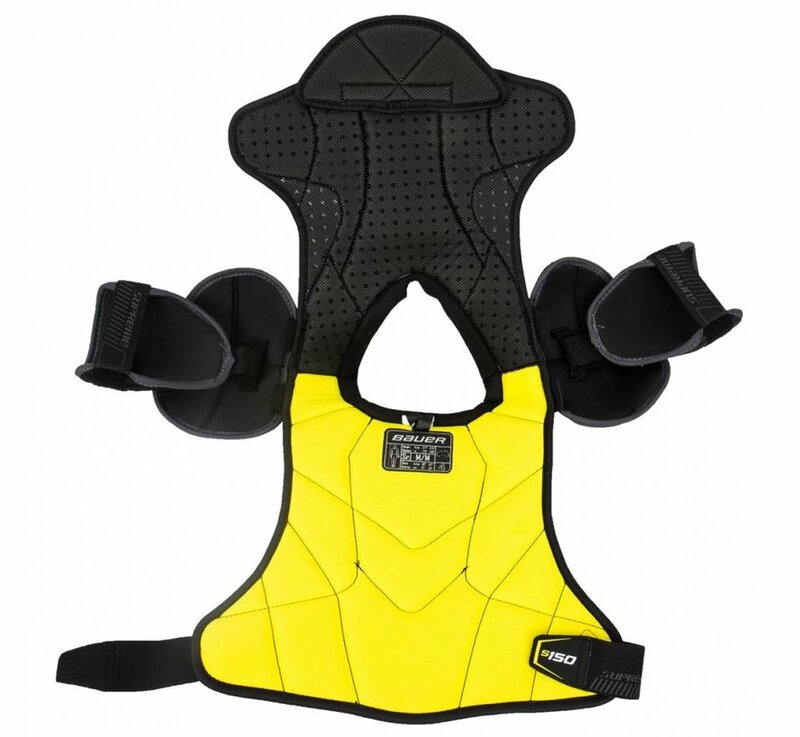 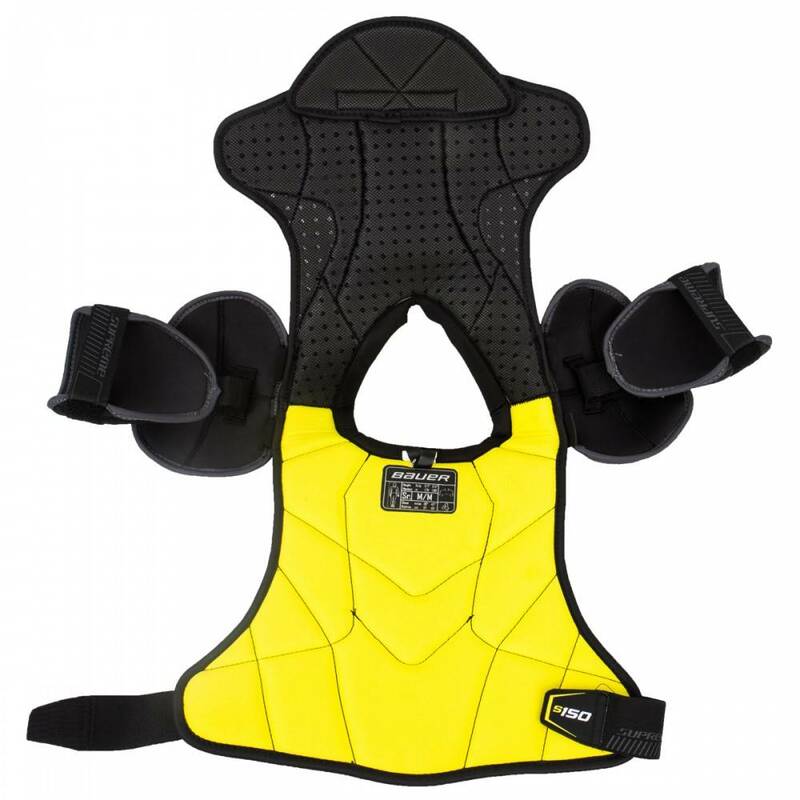 The 150's offer good protection in key areas like the sternum and spine guard where they utilize high density foams. The shoulder caps and bicep guard are constructed from molded plastic that provides an anatomical wrap for a close, lightweight fit.